Patients can access ECG tests at any of our SDS MyHealthcare practices, saving them unnecessary trips to hospital. These tests are then quickly interpreted by our team of fully trained clinicians. We are proud to be Birmingham’s largest community provider of ECG interpretation. ECGs tests are carried out in the patient's local surgery, by either a trained Nurse or Health Care Assistant. All of experienced interpreters are local GPs, qualified to Society of Cardiological Science and Technology standards. Once the patient's ECG results have been interpreted, the local Hub will update the patient's record with the detailed test results. 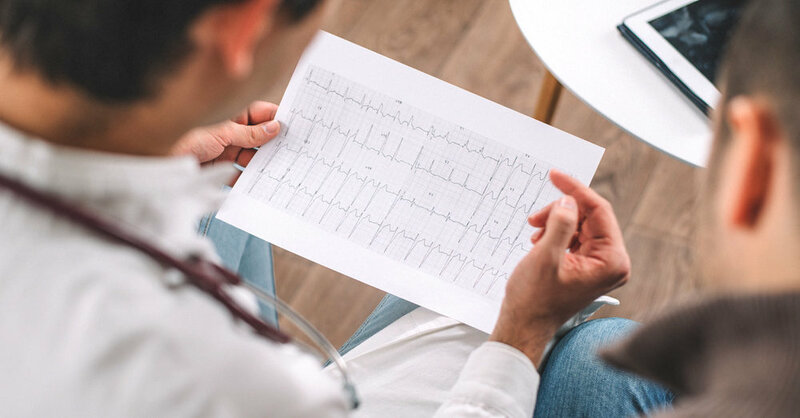 Simple booking – SDSMyHealthcare practices can book ECG interpretation directly via EMIS with the results coming straight back into the patient’s record. Non SDSMyHealthcare practices simply email the ECG and referral form to a dedicated ECG email account. ECG reporting – we provide an ECG report written by a qualified local GP. If there are actions resulting from the ECG, we will send a task to flag them up and phone the patient if it is urgent. Urgent ECGs – where an abnormal ECG reading requires a report quickly, we will get the report back to the practice the same day. We usually get them back within 2 hours. Since the service started in 2016, we have successfully interpreted almost 5000 ECGs and are providing ECG reports to over 25 GP practices, making us the largest community provider of ECG interpretation in Birmingham. If you'd like to find out more about our ECG service, please get in touch today.